A number of weeks ago I received my second installment of the Thylacine Sock Fibre Club. 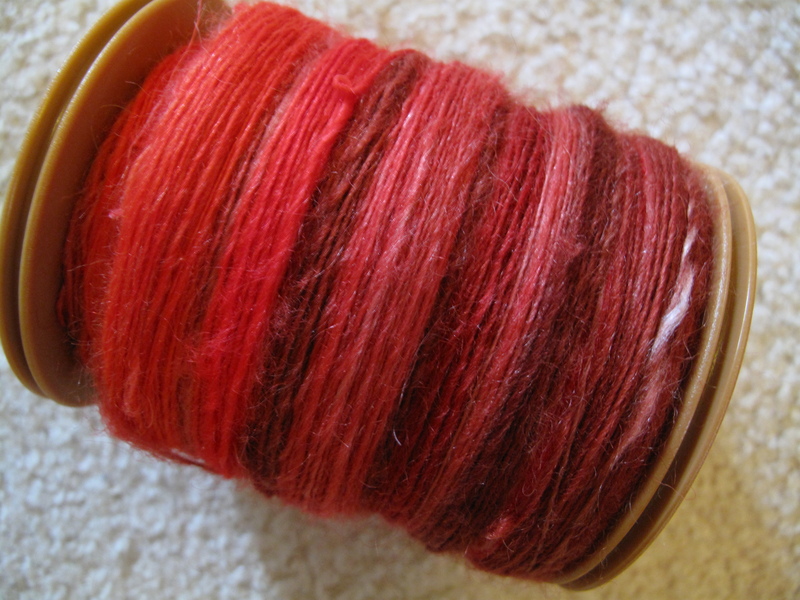 The great thing about the club (apart from the quality of the fibre and dyeing) is Megan chooses different blends each month that have good sock-making properties. 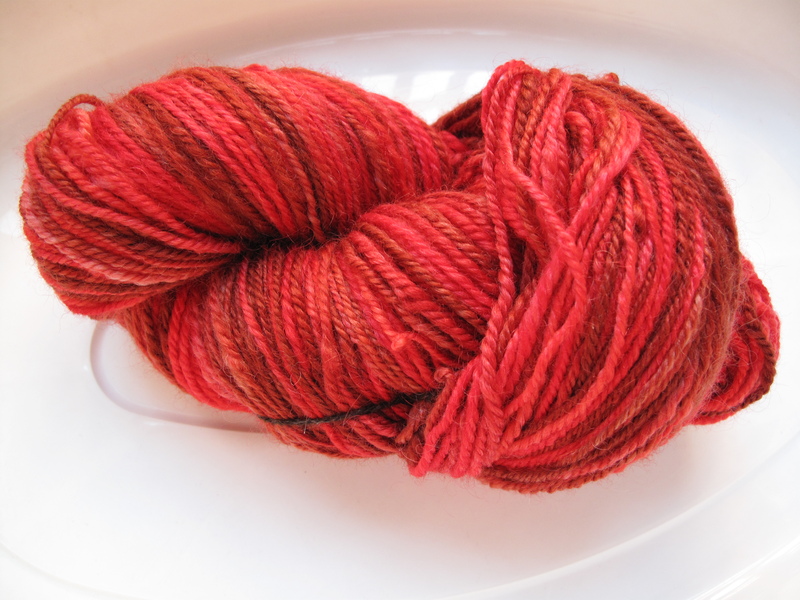 The March colourway was ‘Sunburn’, made up of 80% Superwash BFL, 10% Mohair and 10% Silk. The colour was more variegated than the first month which I really like a lot. I really enjoyed spinning this blend. I was lucky enough to score an extra 50gms from Melanie taking my total to 200gms for some super long socks. Which I in turn N-plied to keep the stripes. I spun this fibre switching between my Little Gem and my Suzie Pro, as this was the cross-over time between being ‘allowed’ to use my birthday wheel. I also took my Little Gem to a spinning session (yay, for a travel wheel) after I began using the Suzie. Anyway, the combination of these factors, as well as the fact I haven’t got myself a spinners control card, so I basically spin blind, the thickness of the 3ply does vary from 4ply to 8ply (at the most). I’m really ‘ok’ with this for now. I’ll let you know how I feel about it after I knit it up into socks. Any suggestions for patterns? I’m tempted to just go Vanilla. Of course! That goes without saying really, see you tomorrow night.